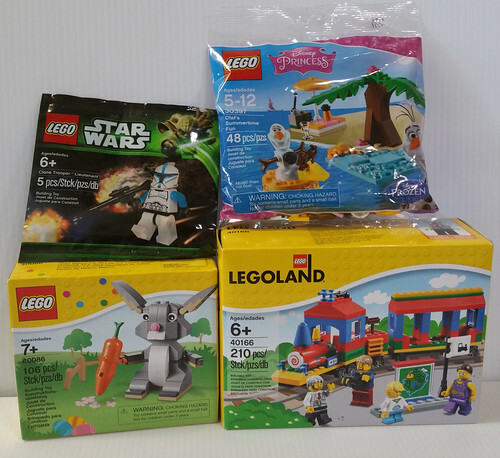 This entry was posted on March 5, 2016 at 2:20 pm and is filed under Contests, LEGO, LEGOLAND, Model Building Secrets, New LEGO Sets, Star Wars. You can follow any responses to this entry through the RSS 2.0 feed. You can leave a response, or trackback from your own site. This is a cool contest. That Legoland Train looks really nice, thank you for the oportuniy! Thanks for the fun contest Mariann! Oh wow! How do I not have a LEGOLAND train in my life? Count me in! Keep building! My son loves Lego and your site! Spring cleaning is always good – count me in! If i win, i would make my girl very happy. I would love to have those sets. I don’t have any that old. Adding them to my collection would be great!! Hi! This is a nice Spring giveaway! Oh what joy this is. During my spring cleaning, I bought Poe’s X-Wing, and a minecraft set… different ways I suppose. Hello! I’d like to enter. Thanks! I can’t turn down a chance for free LEGO sets. Would definitely like to have one of those Legoland trains. Fingers crossed. Looks like I’ve missed the boat! When’s the next one?